Cool the roasted ingredients. using your mixie, make them into a fine powder. Store the masala powder in an air tight jar. 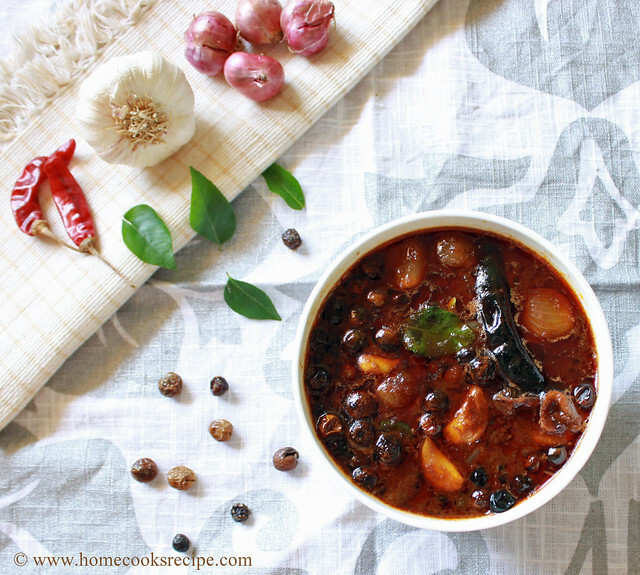 use it within a month, as it has dry coconut or store in your fridge. Soak the basmati rice for about 20 minutes in sufficient water, drain the water and cook basmati rice with 1 and half cup's of water. i used my microwave and cooked in 1 and half cup's of water for about 12 minutes at 900w. rice and water ratio is 1 : 1 and 1/2. you can cook the rice on stove top with the same ratio. cool the cooked basmati rice in a wide bowl. mix 1 tsp of sesame oil to the rice and give a soft stir with a fork, so that the grains separate. Peel the skin of the carrot. wash them and soak in hot water for about 10 -15 minutes. this is to help grating the carrot smoothly. after 15 minutes of soaking, grate the carrot's and set aside. Heat a pan, add oil, when its heated, add mustard and let it splutter. then add urad dal and curry leaves. 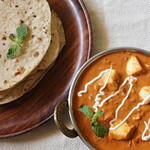 now add the masala powder and salt to the oil and roast the masala powder for just a few seconds in slow flame. then add salt and mix well along with the masala. Add the cooked basmati rice and mix with the masala's. 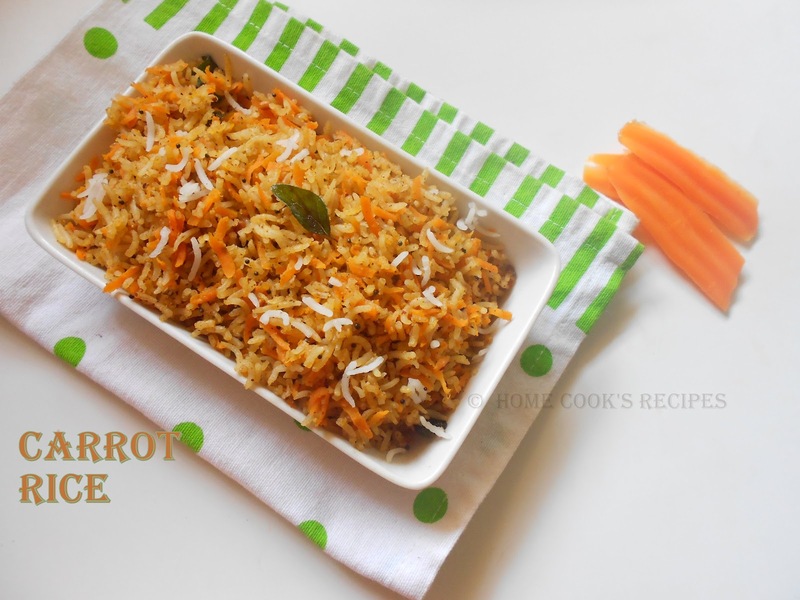 then add the grated carrot and mix slowly, so that you do not break the rice grains. remove from flame and transfer to the serving bowl. 1. 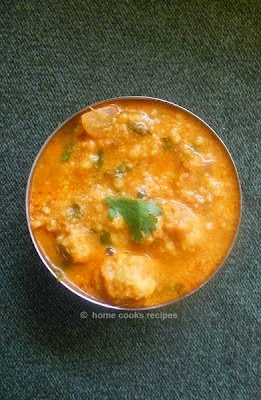 The masala powder can also be used to prepare capsicum rice and cabbage rice. 2. Use a pinch of turmeric powder, that makes the difference in color of the rice. Such a good fulfilling meal! 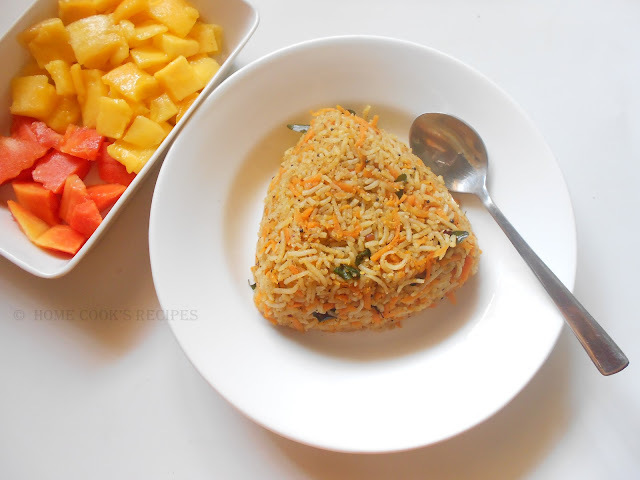 Definitely a quick,healthy and hearty rice dish. Dont blame you. Curd rice is what I have been eating too because its been very hot here. 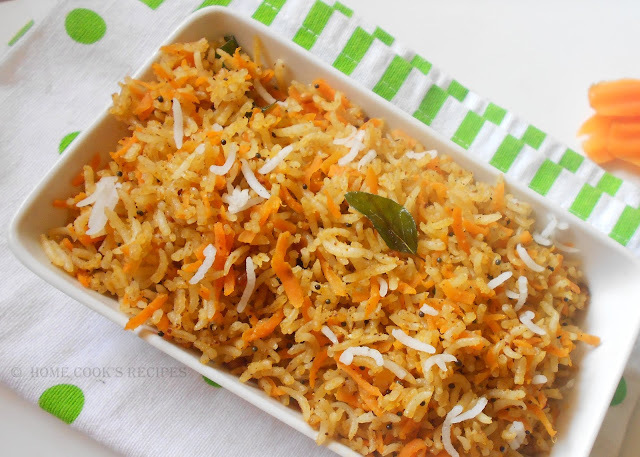 The carrot rice looks perfect. That's really a unique recipe...never heard before...thanks for sharing..happy to follow you!! 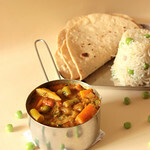 Hi dear I am your new follower the carrot rice looks so delicious and colorful. Do visit my space in your free time. Mouth watering recipe, which made me hungry. Have to take some food. Thanks for sharing.